Union Ministry of Health and Family Welfare has confirmed 22 positive laboratory-confirmed cases of Zika virus in Rajasthan's capital Jaipur. It was detected through the Indian Council of Medical Research (ICMR) surveillance system and all suspected cases are in a defined area and mosquito samples are being tested. Health Ministry has taken precautionary measures followed by daily monitoring. It has activated a control room at the National Centre for Disease Control (NCDC) to undertake regular monitoring of the situation. Moreover, a 7-member Central team has also been deputed to Jaipur following detection of the first case. State government has also been supplied with IEC material prepared to create awareness about zika virus disease and its prevention strategies. Besides, extensive surveillance and vector control measures are also being undertaken in the area as per protocol by the state government. What is the Zika virus Disease? Zika virus Disease is a mosquito-borne virus transmitted by Aedes aegypti mosquitoes which also transmit three other vector-borne diseases Chikungunya, dengue and yellow fever. The virus belongs to the family- Flaviviridae and Genus Flavivirus. It was first identified in 1947 in Zika Forest, Uganda from where it derives its name. Now it is an emerging disease currently being reported by 86 countries worldwide. It is transmitted primarily by infected Aedes aegypti mosquitoes, which also transmits dengue. It can also spread through blood transfusion and sexual contact. They are similar to other viral infections such as dengue, and include fever, skin rashes, conjunctivitis, muscle and joint pain, malaise, and headache. 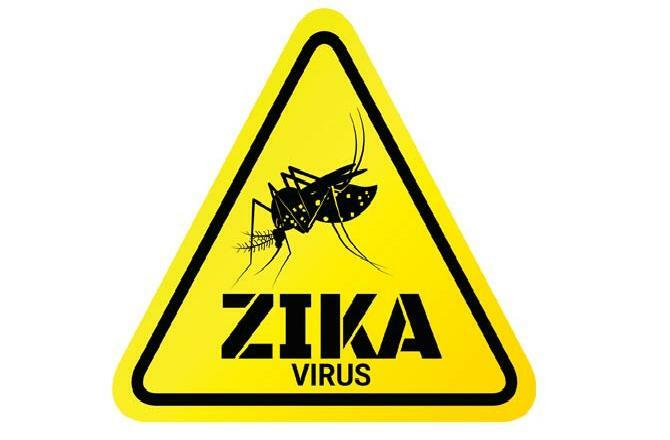 Pregnant women infected with Zika virus may give birth to babies with severe brain damage or serious birth defects i.e. neurological disorders and foetal deformation known as Microcephaly in which infants are born with abnormally smaller heads. Besides, a possible link between the virus and Guillain-Barré syndrome (a condition in which the body’s immune system attacks part of the nervous system) is also suspected. There is no specific treatment or vaccine currently available to treat Zika. The best form of prevention is protection against mosquito bites and clearing stagnant water where mosquitoes breed. First outbreak of Zika Virus was reported in Ahmedabad, Gujarat in January/February 2017 and second outbreak in July 2017 from Krishnagiri District in in Tamilnadu. Both these outbreaks were successfully contained through intensive surveillance and vector management. Q. Union Ministry of Health and Family Welfare has confirmed 22 positive laboratory-confirmed cases of Zika virus in which city of Rajasthan?